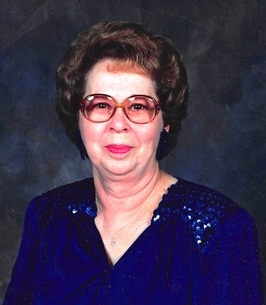 Gladys Davis, age 94 of Grundy, Virginia passed away on Sunday, February 24, 2019, at the Heritage Hall Nursing Home, in Grundy, Virginia. Born May 12, 1924, at War West Virginia, she was the daughter of the late William Henry Lester and Loma Sarah Agnes Crigger Lester. Gladys was a beautician for over 40 years, working with Verna Lambert and later was owner and operator of her own shop. She was a member of the Little Prater Church of Christ. Gladys gave her life to her family. She was a loving wife, mother, grandmother, and aunt. She loved to cook and bake, and her meals were the center of every family gathering. She had a gift for growing things, filling her yard with flowers. She loved shopping for clothes, shoes, and jewelry. She will be dearly missed by all who knew and loved her. In addition to her parents, she was preceded in death by her husband, of over 50 years Frank Davis; daughter, Jeannine Davis; infant son, Frank Christopher Davis; granddaughter, Kristi Ginger Miller; son-in-law, Hugh Elswick; sisters and brothers, Hettie McClure, Elsie Layne, Roy Lester, Clarence Lester, Russell Lester, Freda Comfort, and Myrtle Thomas. 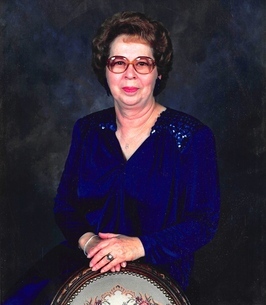 Funeral services for Gladys Davis will be held on Wednesday, February 27, 2019, 1:00 P.M. at the Virginia Funeral Home Chapel in Grundy, Virginia with Troy Brown officiating. Burial will follow at the Mountain Valley Memorial Park, at Big Rock, Virginia. The family will receive friends on Wednesday at 11:00 A.M. until the funeral service at 1:00 P.M. Serving as Pallbearers will be Chris Shortt, Justin Davis, Rick Ooten, Ross Elswick, and Ryan Elswick. To send flowers to the family of Gladys Davis, please visit our Heartfelt Sympathies Store. The family will receive friends on Wednesday, February 27, 2019, at 11:00 A.M. until the funeral service at 1:00 P.M.